Our list of new books is now updated. Last month, the Law Library received several new Matthew Bender practice guides, as well as books covering a wide variety of topics from the law of chocolate, to legal issues in climate change, to a history of the American legal professoriat. Check it out upstairs in the Reading Room at KF 5060 .B37 2016. 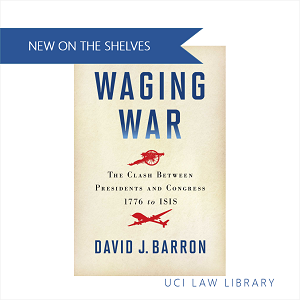 The Law Library’s collection is constantly growing as we purchase books and other resources to support the scholarly and clinical work of faculty and students. Please let us know if you have a suggestion for a new book.